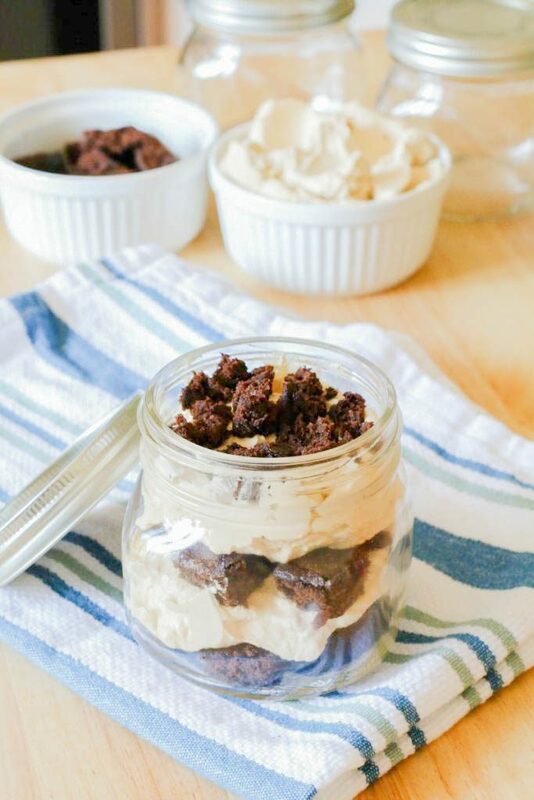 This easy Mocha Brownie Trifle is the perfect easy dessert for all chocolate and coffee lovers! 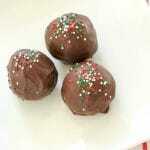 A quick dessert recipe that is to make using instant coffee and a boxed brownie mix! 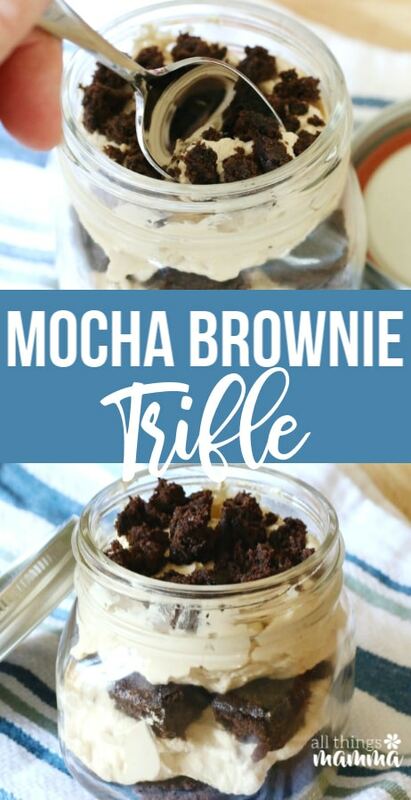 This easy Mocha Brownie Trifle Recipe has brownies layered with a rich and creamy mocha moose filling. One of the great pleasures in life is chocolate. Chocolate and coffee. Ok…so TWO of the greatest pleasures in life are chocolate and coffee. And if you put them together – heavenly! Who’s with me?? I can’t get enough of the two and they’re definitely my weakness. 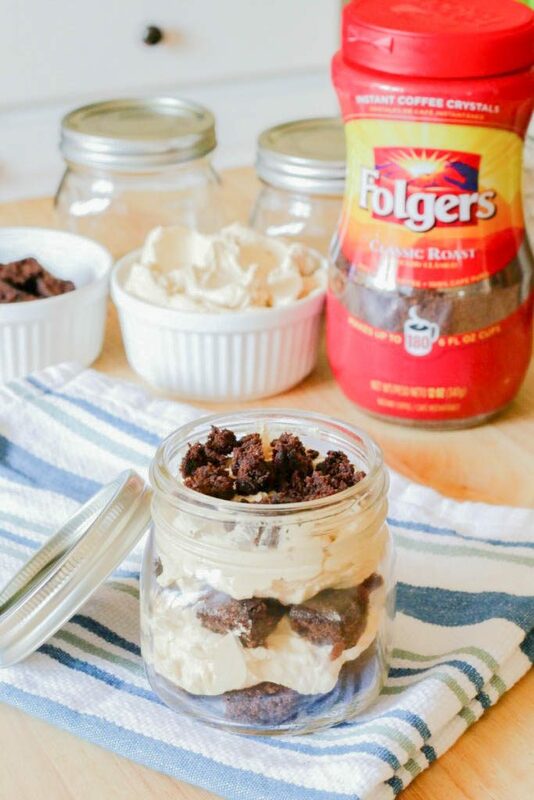 That’s why when I was asked to create a recipe or drink including Folgers instant coffee, I KNEW I had to combine the two into a sinfully delicious dessert – Mocha Brownie Trifle! YUM! 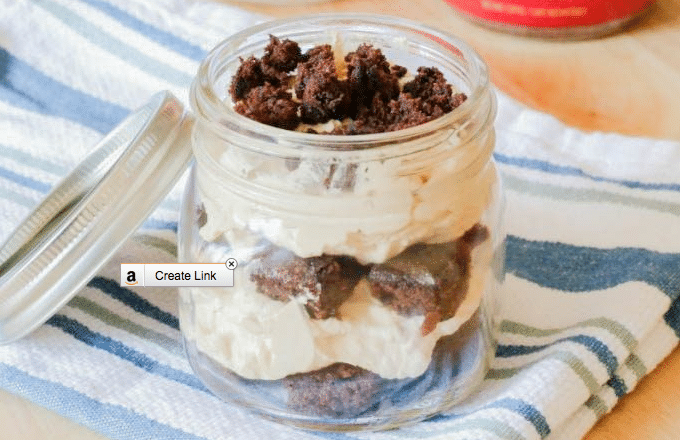 Take a look at this Mocha Brownie Trifle! Doesn’t it just look like something you’d want to dig your spoon into? The word “trifle” comes from the old French term “trufle,” and literally means something of little consequence. A traditional English trifle is made with real egg custard poured over sponge cake soaked in fruit and sherry and topped with whipped cream. But this trifle recipe is made with brownies and mocha cream – a delicious twist on an English dessert! Can I make a trifle the day before? You can make a trifle the day before you’d like to enjoy it to give the flavors time to all mingle together and for the brownies to soak up all the mocha moose goodness! How long can a trifle be refrigerated? Leftover trifle can be stored, loosely covered in the fridge, for up to 3 days. 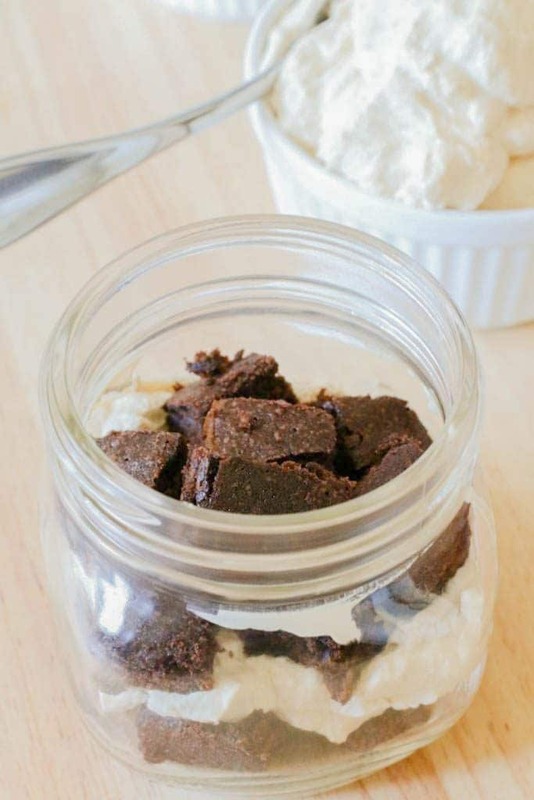 You can make this yummy dessert at home with minimal effort or skill by using your favorite boxed brownie mix, heavy whipping cream, and instant coffee crystals. As much as I love Mason Jars, I thought little individual jars would be the perfect treat that would be easy to assemble. 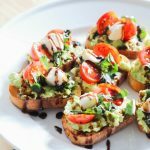 And even easier to eat! You can also use a trifle bowl to make one large dessert instead. First, make a pan of your favorite brownies from a box mix and allow to cool. 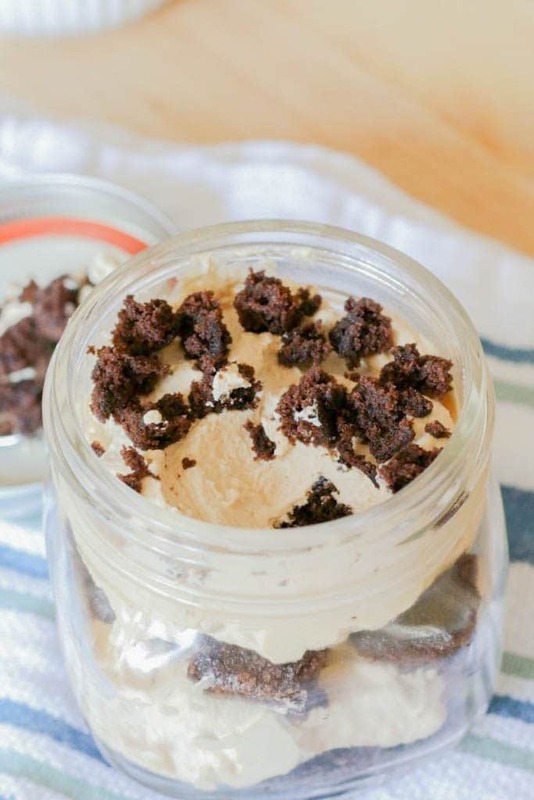 While the brownies are cooling, make your Mocha Whipped Cream that you’ll mix into the trifle layers. 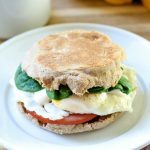 Haven’t ever made your own whipping cream? It’s easy!! 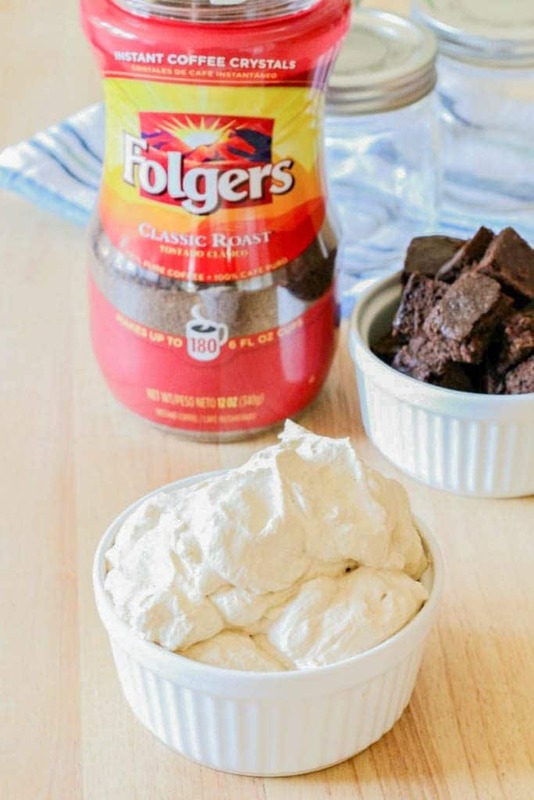 Dissolve 1 Tablespoon of Folgers Instant Coffee into 1 Tablespoon boiling water and allow to cool. Place two cups of heavy whipping cream into a metal mixing bowl that has been chilled well in the freezer. Note: having a chilled bowl is key to perfectly whipped cream. Add 2 Tablespoons of sugar to the heavy mixing cream and whip on high until stiff peaks form. Once your cream resembles the light and fluffy stuff we all love, fold in the coffee mixture – mixing well. That’s it! See how easy that was! 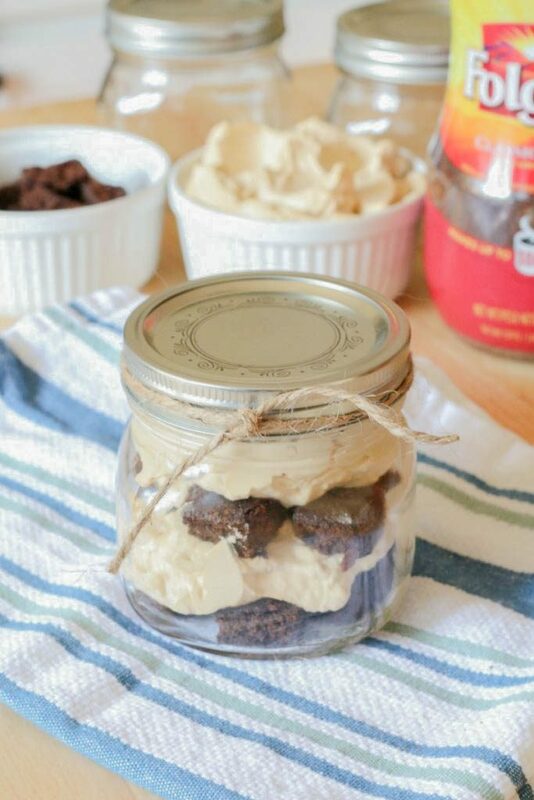 Now that your whipped cream is made, cut your brownies into bite-size pieces and begin to layer into the bottom of a wide mouth mason jar. Add a layer of whipped cream and then a layer of brownies, then another layer of whipped cream. Top with pieces of brownies to decorate! 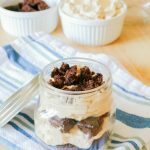 This easy Mocha Brownie Trifle is the perfect dessert for all your chocolate and coffee lovers like me! Using Instant coffee, such as Folgers, is a great way to get that bold mocha flavor easily! First, make a pan of your favorite brownies from a box mix and allow to cool. While the brownies are cooling, make your Mocha Whipped Cream that you'll mix into the trifle layers. Add 2 Tablespoons of sugar to the heavy mixing cream and whip on high until stiff peaks form. Once your cream resembles the light and fluffy stuff we all love, fold in the coffee mixture - mixing well. Try it! And if you do, be sure to let me know in the comments below! 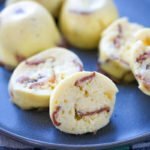 For more delicious chocolate recipes, try these next!